This kit is the most complete way to prepare for your road trip! This kit is a 72-hour kit, auto kit, and blizzard kit all in one. With food to feed a family of four for a day or an individual for three days, you’ll be prepared if your stranded wherever your location. 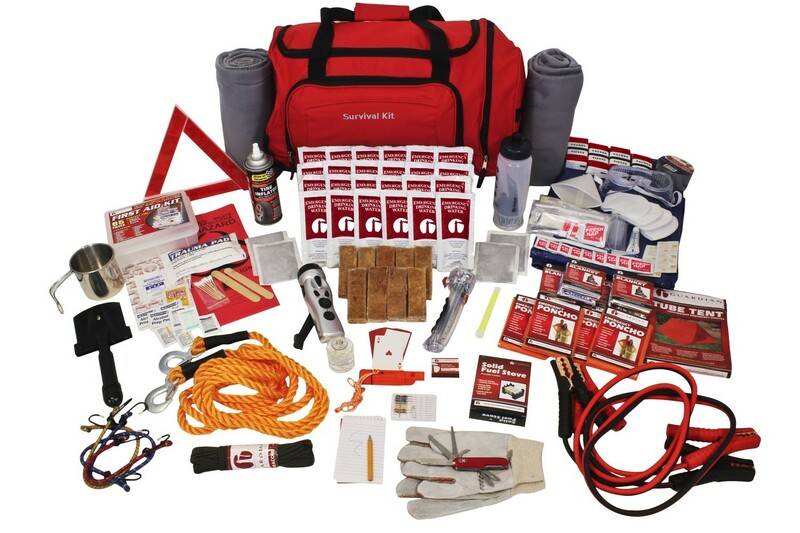 This Kit Is Packed Securely in Our Red Duffle Bag with Wheels.